Owning a home is a big step in your life. One of the bigger steps you will ever make. This is the place where you will be raising your family, sleeping, keeping beautiful, and have truly made your “home.” As you are looking for home for sale in Idaho, the best place, as a seller, to look is with an agent here at The Group Real Estate. Idaho Falls Real Estate is booming and we are right at the head of it all. 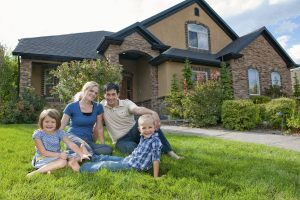 Realtor com Idaho is a place to start your real estate Idaho falls search, but make sure if you are in the need of becoming a home owner, wanting to move forward with this decision can be very difficult. As you look through the Zillow markets and the Zillow agents, you will see so many of our agents pop up for you, showcasing the strong case that we can make to help you get you into a home and still make sure you are treated right and get the most out of the entire process. Owning your first home is not an easy task, and that is okay. 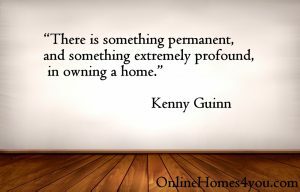 That is why we specialize in helping you be in the best position to owning your first your home. Homeowners in today’s market are a menial age of around fifty seven years, predominately Caucasian/white, which is in the range of about seventy six percent, married (this is around sixty eight percent) and make a median income of just under seventy thousand dollars. Almost half, just under fifty percent, at forty six percent, live in the first home they purchased and most live in a single-family home, this is about eighty five percent. Home owners view their home as both a financial investment and a reflection of who they are personally. This is about half and half. Eighty six percent of homeowners in today’s market have no plans to sell with the next three years after obtaining their home. Less than twenty three percent say their home is in like-new condition, with more than sixty percent saying their home could us a little updating. The very typical homeowner in today’s market with a mortgage still owes sixty two percent of their home’s value. Forty one percent of homeowners with a mortgage have refinanced their home at least once and twenty one percent have tapped into their home equity to take out a cash in the form of a Home Equity Line of Credit, or HELOC, at least one time. The most popular improvements homeowners plan to make in the next year are painting the interior,, which is around twenty five percent, to the bathroom improvement, and about twenty one percent to the landscaping. These are just a few numbers and facts to get you started. Owning a home is a great honor, so please take into consideration some of these exact things, options and notions. Owning a home is a big step, but know that it is a great, and wonderful, step to be taking with an agent. When it comes to taking these steps, you want to be ready! As you do that, that is why I wanted to point out these little facts for you. Happy home owning to you all.